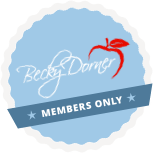 Parkinson’s Disease - Becky Dorner & Associates, Inc. 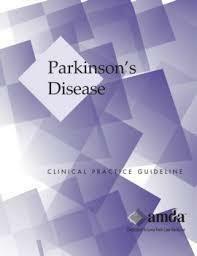 The AMDA Parkinson’s Disease in the Long-Term Care Setting Clinical Practice Guideline outlines information that will allow clinicians to evaluate causes of and determine interventions for Parkinson’s disease, including disease and symptom management to allow the highest possible functional status and quality of life. Parkinson’s disease (PD) is an age-related, degenerative neurological disorder. Patients with PD are substantially more likely to live in nursing homes than are adults in the general population. The prevalence of PD in nursing homes is estimated to be about 5% to 10%. The disease is slowly progressive, and once symptoms occur, the mean life expectancy is 15 years. The severity of PD disease course varies widely; some patients may be only slightly disabled 15 to 20 years after diagnosis, whereas others may be completely disabled after 10 years. PD reduces life expectancy because of an increased incidence of factors such as motor disorders, dysphagia with aspiration pneumonia, infection, dementia, and fall-related injuries. Recognize signs and symptoms of Parkinson’s disease. Be able to state 3 non-pharmacological treatments for Parkinson’s disease. Be able to state 3 complications/comorbidities of Parkinson’s disease.